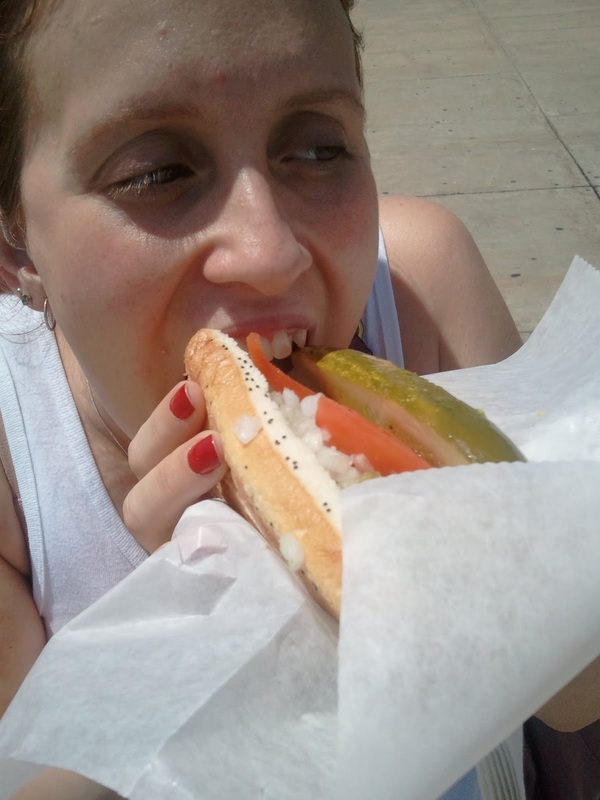 Monday through Wednesday of this week I was in Chicago, eating everything I could get my hands on, namely Chicago-style pizza and Chicago-style hot dogs. To my surprise and delight, I found a vegetarian Chicago-style hot dog outside the Field Museum. This is one very happy Kelly. I don't even like hot dogs that much, but I want every hot dog I eat for the rest of my life to taste like this one did.